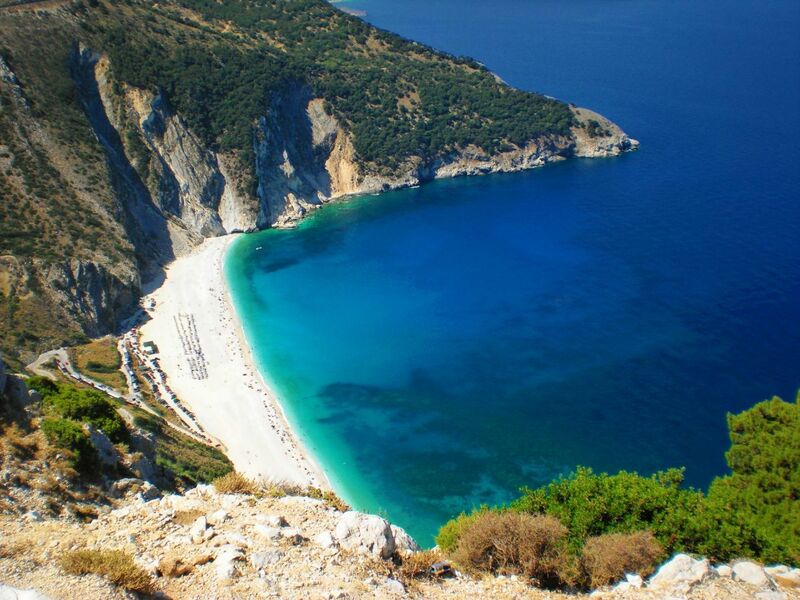 At the north side of the island, the most famous beach is located, Myrtos beach. Maybe you have seen it in cart-postale or on magazines with top travel destinations because is one of the most beautiful beaches of Greece and the world. The view from above the beach is outstanding, the blue of the sea mixes with the horizon and the infinite beach ends in green rocks. The beach has sunbeds, umbrellas, beach bars and everything you will need to spend the whole day at Myrtos. Don’t miss the magical sunset!